Homely, and very relaxing, lovely change from hotels! I loved how big it was and loved eating at the big table with my partner and kids with the double balcony doors open was very clean but had trouble with connecting to the WiFi and only had freeview too but apart from that all was very lovely thank you! This was a great alternative to staying in a hotel with the kids. It was clean, nicely decorated and had all the facilities you would need for a short term let/stay. It was the same price as two nights in Premier inn (when booked a few days prior to arrival) The information sent pre arrival was very detailed and it helped to have the photographs to confirm. It was nice to be able to relax as a family, rather than being squeezed into a hotel room. It’s a nice apartment and it is a great idea to have it available as short term keys for people, being fully equipped to live in. It was good to have two en suites and a separate toilet in such a small apartment. Was really clean and had everything we needed. It was a shame we only stayed one night. The staff at Berkshire Rooms were really helpful. The apartment was excellent clean and well maintained. Couldn't find a single fault with any of it. Would definitely stay again and highly recommend. The location was great and the property was very clean and tidy. The property manager was very helpful and polite. Comfortable clean and easy to book. 2nd stay and both equally as enjoyable. 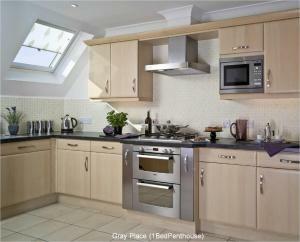 Lock in a great price for Berkshire Rooms Ltd - Gray Place – rated 9.1 by recent guests! 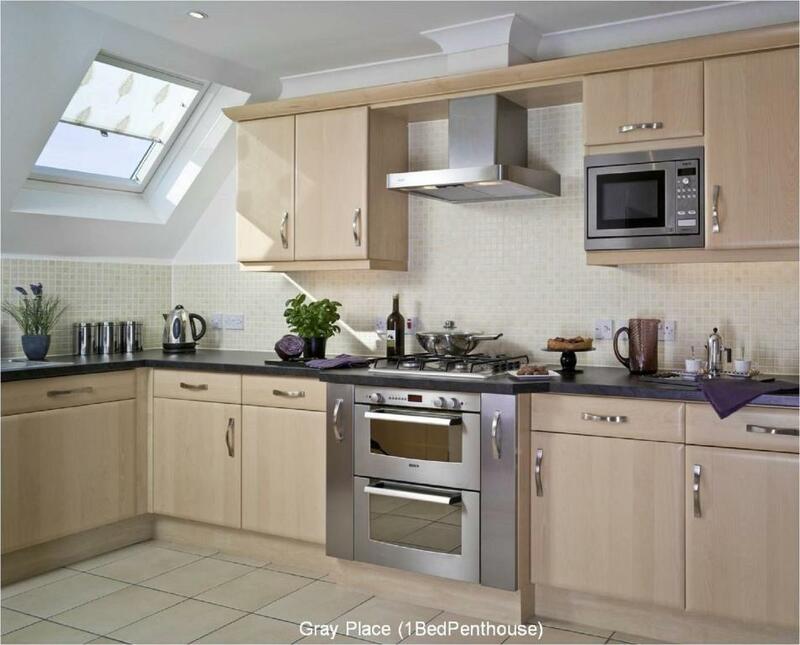 Located within a new development in Bracknell, Berkshire Rooms Ltd - Gray Place offers self-catering apartments with free parking and free Wi-Fi. Each apartment at Gray Place features a living room with an open plan, fully equipped kitchen, a flat-screen TV with DVD player, and a bathroom. 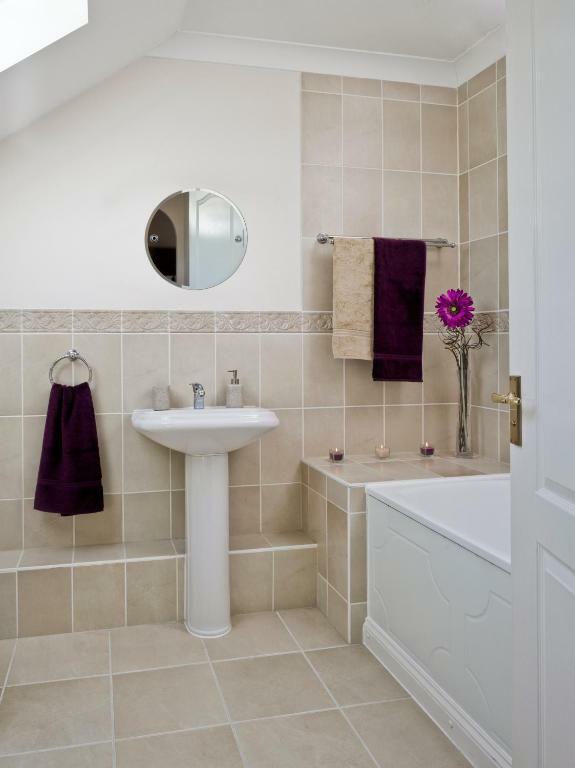 The 2-bedroom apartments also have an additional private bathroom in the master bedroom. A large selection of shops, restaurants, pubs, and cafés can be found in the town center, 25 minutes’ walk from the apartments. 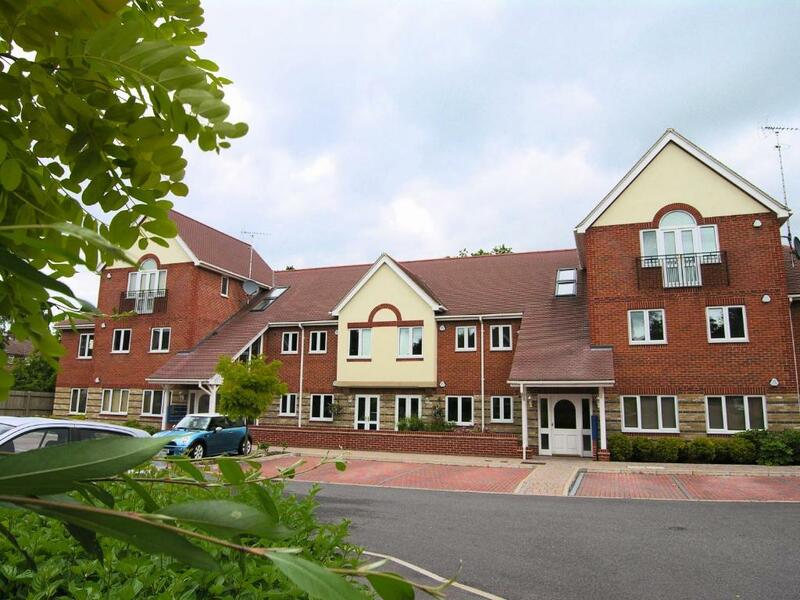 Reading is located 10 miles away, and Wokingham’s town center is 3 and half miles away. 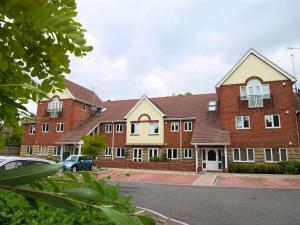 This property also has one of the top-rated locations in Bracknell! Guests are happier about it compared to other properties in the area. 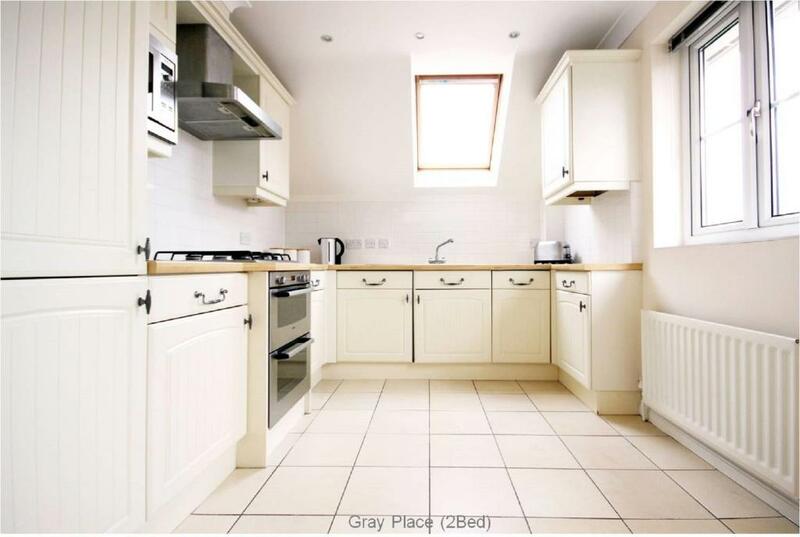 This property is also rated for the best value in Bracknell! Guests are getting more for their money when compared to other properties in this city. When would you like to stay at Berkshire Rooms Ltd - Gray Place? A 2nd floor apartment featuring a living room with an open plan, fully equipped kitchen, a bathroom, and a bedroom. 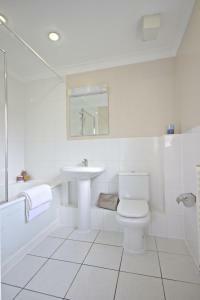 A bathroom, and a living room with an open plan, fully equipped kitchen feature in this apartment. The master bedroom also includes an private bathroom. Bracknell Forest includes the towns of Bracknell, Crowthorne and Sandhurst as well as villages such as Warfield, Binfield and Winkfield. The area has undergone many changes since the first mention of the name Bracknell, "Braccen Heal" appeared on a 10th centry Saxon document. In 1949 Bracknell and the surrounding area was selected as one of eight New Towns built within 30 miles of London to alleviate the housing crisis caused by World War II. Now, Bracknell has a population of around 110,000 and is the home for many headquarters and major companies including BMW, Dell, Hewlett Packard, Waitrose and 3M. Bracknell town centre is easily accessible by train, car and bus. From water slides to woodland walks, there is plenty to entertain the visitor to Bracknell Forest. Bracknell town centre is within walking distance of the Odeon Cinema and the Hollywood Bowl bowling alley, both at The Point, Skimped Hill, Bracknell. House Rules Berkshire Rooms Ltd - Gray Place takes special requests – add in the next step! Berkshire Rooms Ltd - Gray Place accepts these cards and reserves the right to temporarily hold an amount prior to arrival. Please note that the registered address of the credit card holder must be provided when booking. Please note that the credit card details provided at booking stage are used to secure the booking and will not be charged. Please note that after booking you will receive a prepayment request from the property and must send the prepayment via SAGE payment gateway using a credit card or bank transfer. The property will provide all the necessary details when they contact you. If the prepayment is not made, the property reserves the right to cancel the reservation. Please inform Berkshire Rooms Ltd - Gray Place of your expected arrival time in advance. You can use the Special Requests box when booking, or contact the property directly using the contact details in your confirmation. Firstly, the arrival information was only sent a short while before we arrived so I didn’t have time to read it through and understand it before we were needing it. 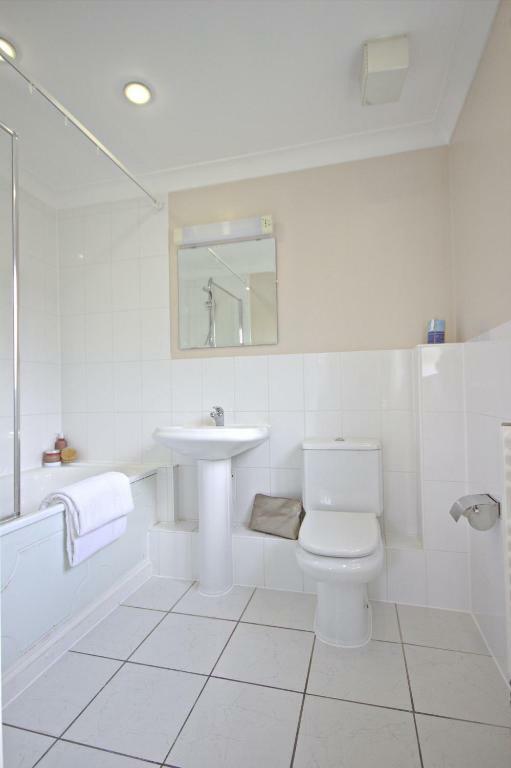 The photographs on Booking.com showed a double and twin room. Which was perfect for our son and daughter, however the email we received as we arrived said room was double/double. Our son has to sleep on the sofa, using the extra duvets we found in the wardrobe but had to borrow bedding from family. The shower head in master bedroom does not stay up so we had to hold it to wash hair/top half of body. The towel set included one bath towel and one bath mat per person. I expected one bath towel and one smaller for our hair. The master bedroom bed was not overly comfortable, it sunk almost all the way to the base when sat on, or when laid on our side. The alarm clock went off at 0630 our first morning, which having listened to the dog barking in the downstairs apartment all night was quite an early wake up. As a side note the kitchen cupboard lay out isn’t very useful but that something that’s personal choice I suppose I also found a milk sachet behind the tv. There was a strange smell upon entering the property which was quite off-putting. Upon running a bath for my young daughters we discovered there was no hot water and I had to contact the property owner who talked me through re-setting the boiler. She was extremely helpful and resolved the problem immediately. The bed was a little hard and uncomfortable. Everything!!! Location, restaurants close by, peace and quite, very very clean!!! !